Branded stationery can give a business a more cohesive and professional look. This was created for a friend who was thinking of starting a florist shop. I liked it so much I included it in my portfolio. 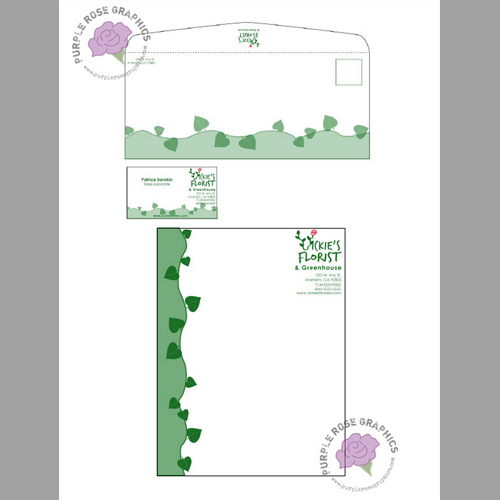 The set includes business cards, letterhead, and matching envelopes.